There’s something special about really fresh peas. 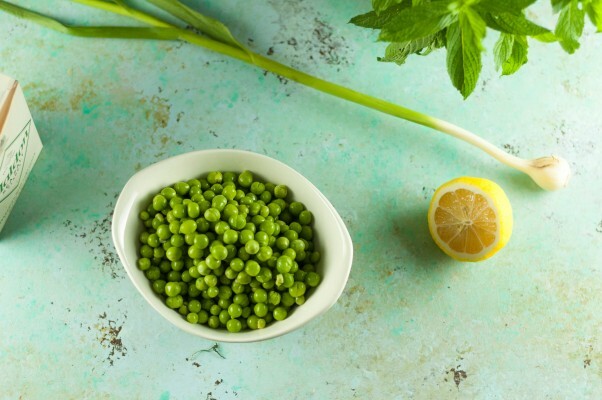 When I was growing up in Michigan, even though I wasn’t much of a vegetable eater as a kid, I looked forward to the peas that we invariably bought if they were available from a farm on the side of the road on the way to my aunt and uncle’s cottage on Turk Lake. Those peas are still the best peas ever, as far as I’m concerned, but the peas I just picked up from Klug farms at the Green City Market come pretty darn close. Great peas are best treated gently. There’s no reason to overpower their delicate flavor with loads of spice or high heat. They really shine when paired, as they so often are, with fresh mint. 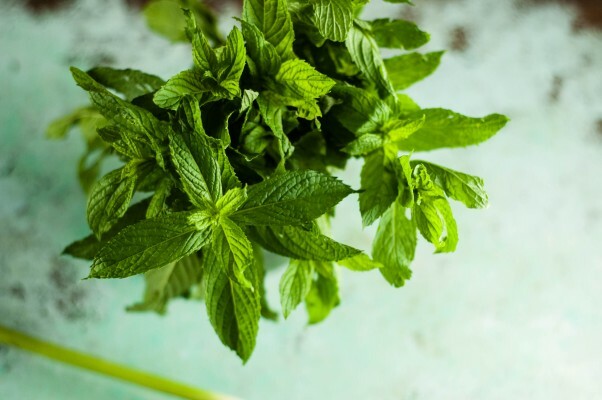 This simple preparation just involves tossing them in the food processor with a handful of the aforementioned mint, a glug of olive oil, a squeeze of lemon juice, a flurry of grated parmesan, a small clove of spring garlic, and some flaky salt. Then everything gets zizzed for a few seconds just to mix everything and partially crush the peas into a rustic melange of deliciousness. It comes from April Bloomfield’s A Girl and Her Greens, a book that’s been reminding me how much I love simple food when you start with good ingredients and pay attention to details. These are lovely as a simple side dish on their own. They’d be a natural pair with fish or anything from the sea. But they are also great spread on toast. 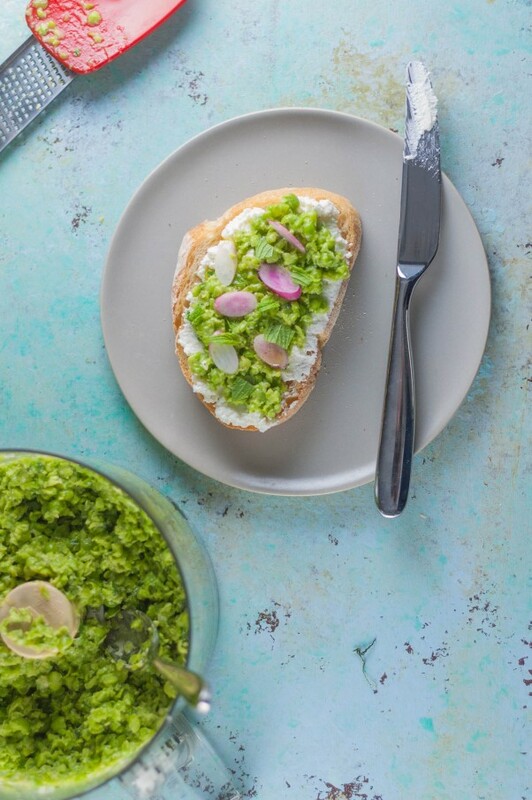 I’ve been making a simple tartine with fresh ricotta, a big dollop of these crushed peas, and a scattering of radishes for some peppery crunch. 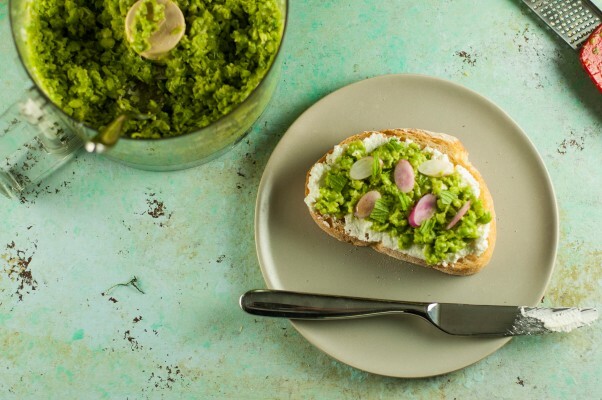 These crushed peas are so simple that it’s important to start with fresh spring shelling peas that taste good raw. Frozen peas have their place, but they’d be disappointing here. You’ll need about two pounds of peas in their shells to get two cups of shelled peas (and shelling the peas is the most time consuming part of this recipe–the rest of it takes about a minute). 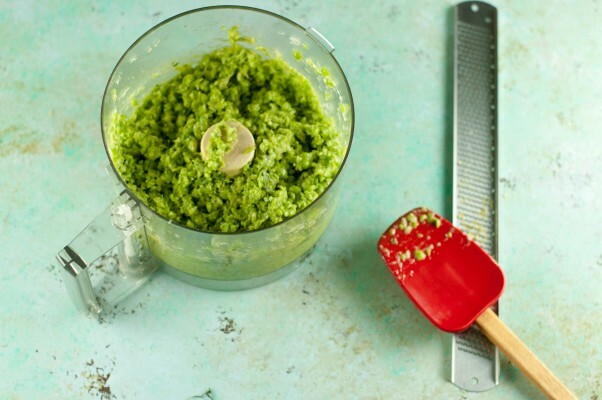 Add all of the ingredients to the bowl of a food processor. 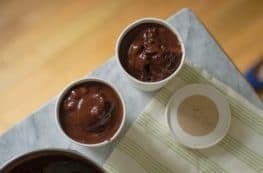 Pulse a few times until the ingredients are well mixed and the peas are partially crushed but still have lots of texture–you aren’t looking for a smooth puree here. Taste and add a little salt or another tiny squeeze of lemon if you feel like it needs something. Serve. it’s the last week of peas for us here and i could cry. i have one last half pound of peas left that i’d like to put to good use tonight, not cook it or freeze it, but to consume as they were meant to be. i’m a late lover of peas and the combination with mint is my favorite. The season for peas really is too fleeting, isn’t it? I hope you get to enjoy that last half pound!